Ren Chengjie, Chen Ji, Lu Xingjie, Russell Doughty, Zhao Fazhu, Zhong Zekun, Han Xinhui, Yang Gaihe, Feng Yongzhong, Ren Guangxin. 2018. Responses of soil total microbial biomass and community composition to rainfall reductions. Soil Biology & Biochemistry, 116, 4–10. Ren Chengjie, Wang Tao, Xu Yadong, Deng Jian, Zhao Fazhu, Yang Gaihe, Han Xinhui, Feng Yongzhong, Ren Guangxin. 2018. Differential soil microbial community responses to the linkage of soil organic carbon fractions with respiration across land-use changes. Forest Ecology and Management. 409, 170-178. Zhao Fazhu, Ren Chengjie (通讯), Han Xinhui, Yang Gaihe, Wang Jun, Doughty Russell. 2018. Changes of soil microbial and enzyme activities are linked to soil C, N and P stoichiometry in afforested ecosystems. Forest Ecology and Management, 427,289-295. Zhao Fazhu, Wang Jieying, Zhang Lu, Ren Chengjie(通讯), Han Xinhui, Yang Gaihe, Doughty Russell, Deng Jian. 2018 Understory Plants Regulate Soil Respiration through Changes in Soil Enzyme Activity and Microbial C, N, and P Stoichiometry Following Afforestation. FORESTS, 9, 436. Ren Chengjie, Zhao Fazhu, Shi, Zheng, Chen Ji, Han Xinhui, Yang Gaihe, Feng Yongzhong, Ren, Guangxin. 2017. Differential responses of soil microbial biomass and carbon-degrading enzyme activities to altered precipitation. Soil Biology & Biochemistry. 115, 1–10. Ren Chengjie, Zhang Wei, Zhong Zekun, Han Xinhui, Yang Gaihe, Feng Yongzhong, Ren Guangxin. 2017. Differential responses of soil microbial biomass, diversity, and compositions to altitudinal gradients depend on plant and soil properties. Science of the Total Environment. 610-611, 750-758. Ren Chengjie, Chen Ji, Deng Jian, Zhao Fazhu, Han Xinhui, Yang Gaihe, Feng Yongzhong, Ren Guangxin. 2017. Response of microbial diversity to C: N: P stoichiometry in fine root and microbial biomass following afforestation. Biology and Fertility of Soils, 1-12. Ren Chengjie, Kang Di, Wu Jianping, Zhao, Fazhu, Yang Gaihe, Han Xinhui, Feng Yongzhong, Ren Guangxin. 2016. Temporal variation in soil enzyme activities after afforestation in the Loess Plateau, China. Geoderma, 2016, 282: 103-111. Ren Chengjie, Zhao Fazhu, Kang Di, Yang, Gaihe, Han Xinhui, Tong Xiaogang, Feng Yongzhong, Ren Guangxin. 2016. Linkages of C: N: P stoichiometry and bacterial community in soil following afforestation of former farmland. Forest Ecology and Management. 376: 59-66. 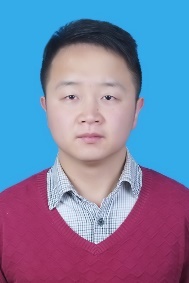 Ren Chengjie, Sun, Pingsheng, Kang Di, Zhao Fazhu, Feng, Yongzhong, Ren Guangxin, Han Xinhui, Yang Gaihe. 2016. Responsiveness of soil nitrogen fractions and bacterial communities to afforestation in the Loess Hilly Region (LHR) of China. Scientific Reports. 6.